A funny heartache of a novel about overcoming the past, confronting the future, and defying all expectations. Everyone is talking about Jennie Sue Baker and the mess she made of her life in New York. The former high school queen bee -- and wealthy darling of Bloom, Texas -- has returned home after all these years, riding on a common bus and bearing two bounced alimony checks. In a town that thrives on gossip, Jennie's fall from grace has shamed her mother, set the town buzzing, and caused old, jealous enemies to whisper in delight. They say she's taken a job as a housekeeper, gotten a garage apartment, and might be crushing on Rick Lawson, a simple farmer with modest dreams. 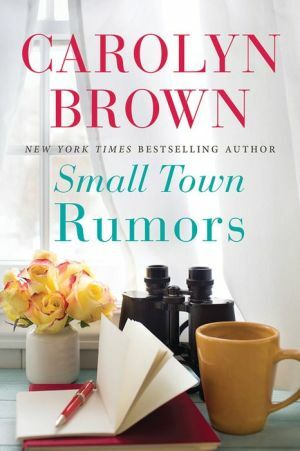 As romance starts to bud, Jennie relishes what it means to follow her heart, find real new friends, and finally be herself -- regardless of all the lying town chatter. But fate has another twist in store. Rumor has it that Jennie now stands to lose what matters most…unless she can convince Rick of one true thing -- and that's love.